AETHER9. 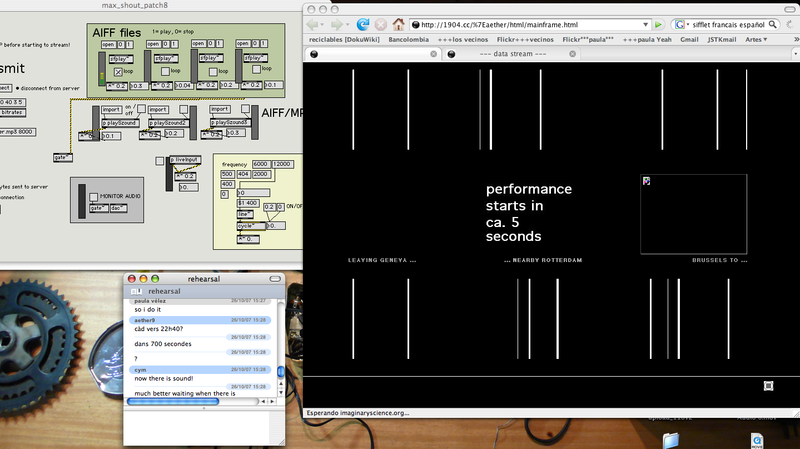 Remote Performance. | . . . paula . . . Experience with the AETHER9 group has been pretty good specially because playing with sound, video and communication we meet from far places and construct somme ideas in the outer net space, virtual construction, virtual storytelling, different languages and the same inmaterial space to create in groupe. 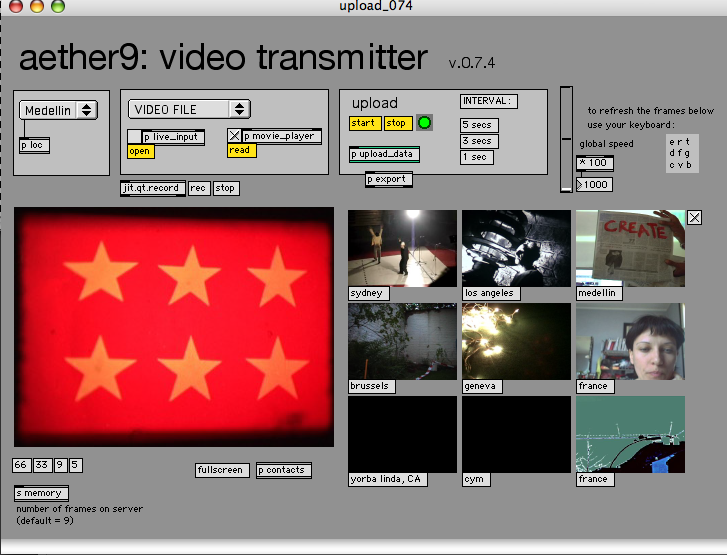 Initiated in May 2007 during a workshop at the Mapping Festival in Geneva, Switzerland, Æther9 is a collaborative art project exploring the field of realtime video transmission. 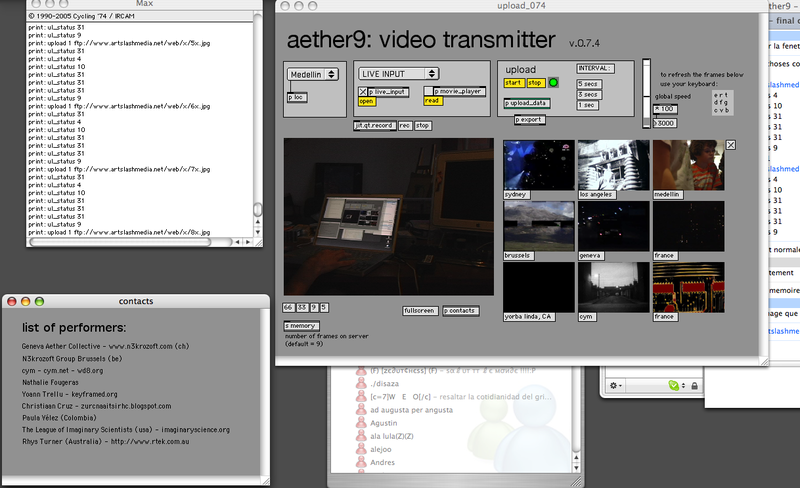 Developed by an international group of visual artists and collectives working in 9 different locations (dissminated in Europe, North and South America) and communicating solely through the Internet, Æther9 intends to become a functional framework for collaborative video performance. 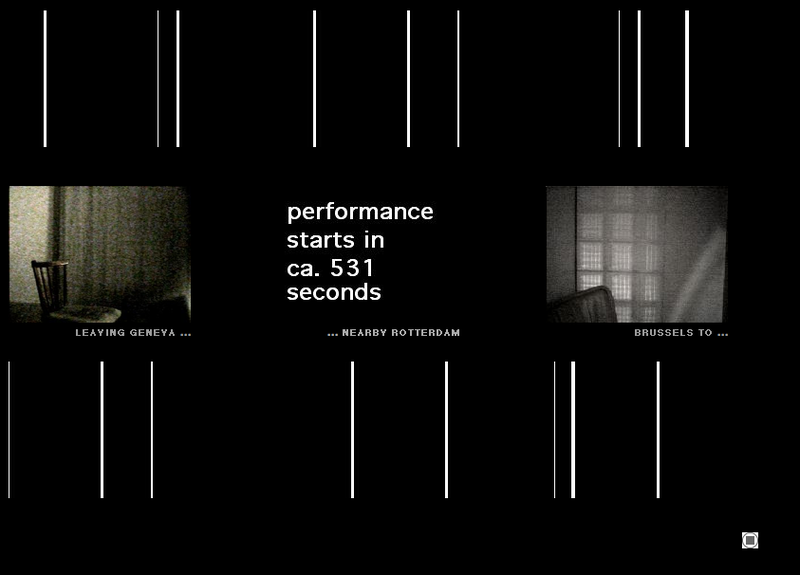 Some screen photos from 3 performance: Genève (at Mapping Festival), Brussels (remote storytelling), and Rotterdam (WORM festival). Live camera test from home. 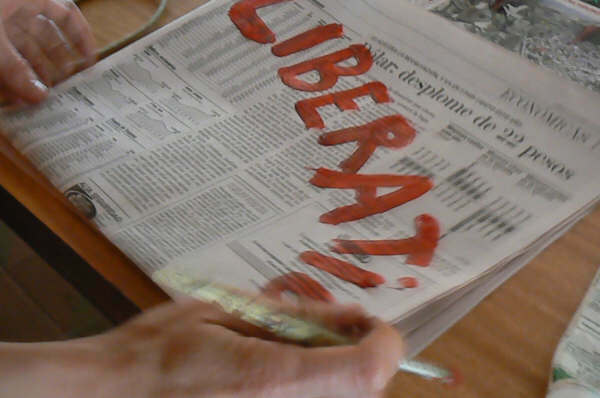 Mapping Festival. 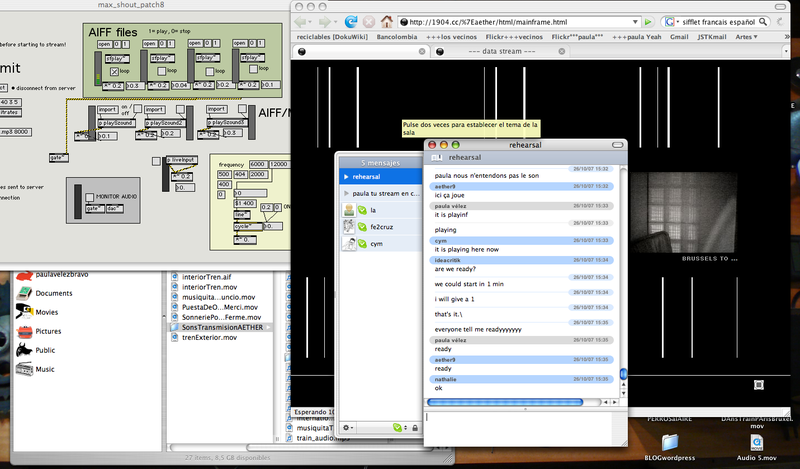 Transmission from Sydney, Los Angeles, Medellín, Brussels, Geneva, France, California, Slovaky, Paris. 2007 spring. 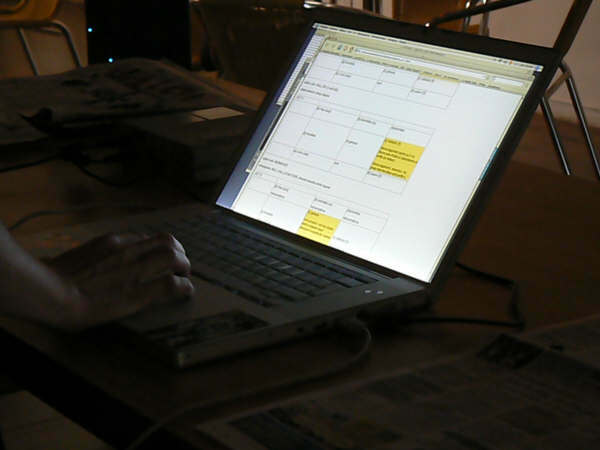 Then MAAC galerie, remote storytelling. Brussels. 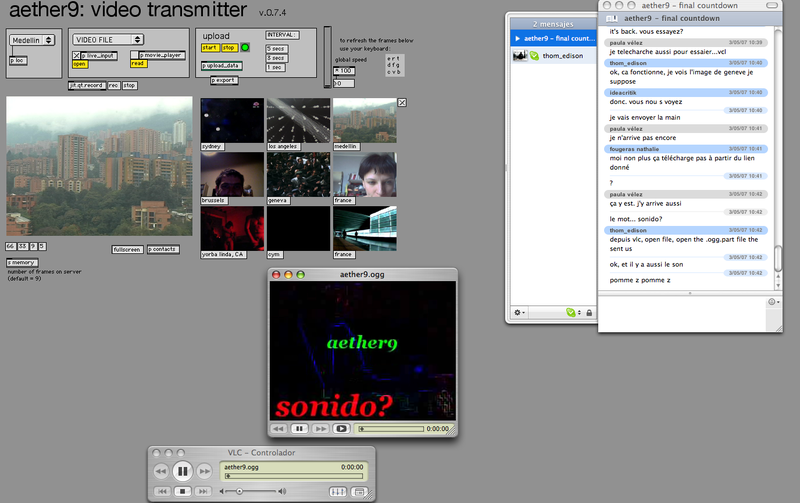 Here some screenshots taken from Medellín laptop to Rotterdam last performance. This time the transmission from Medellín was a sond transmission. 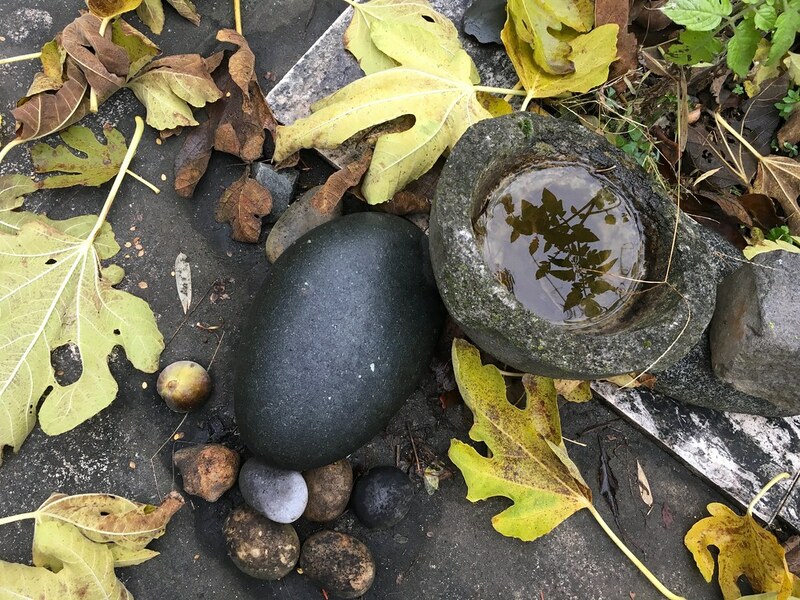 Here other images taken by an internaute.